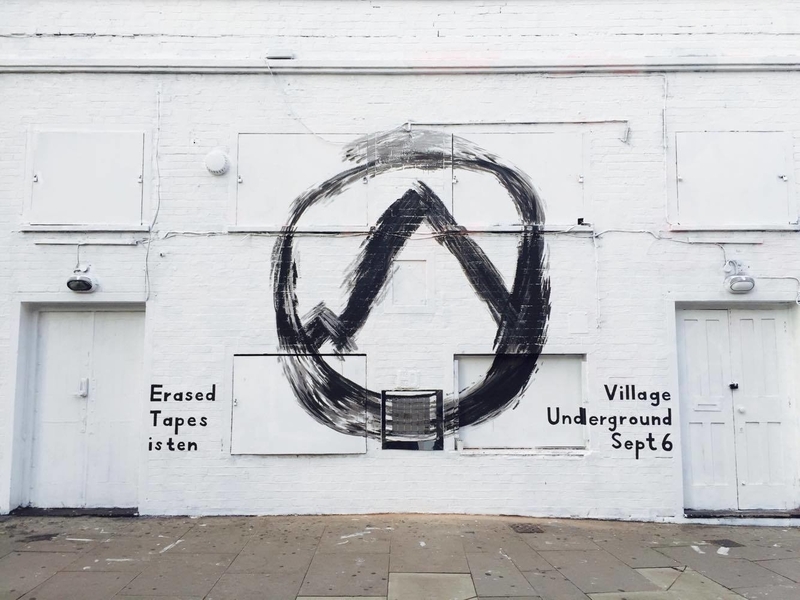 This September Erased Tapes will celebrate its tenth anniversary with a takeover of the Royal Festival Hall by label artists including Kiasmos, Penguin Cafe, Lubomyr Melnyk, Dawn of Midi, Rival Consoles, Peter Broderick & friends, commencing at the Village Underground with an opening party featuring Ben Lukas Boysen, Daniel Brandt and Anne Müller, and an intimate performance by latest family addition Högni in the Erased Tapes Sound Gallery. Berlin-based producer Ben Lukas Boysen kicks off the Erased Tapes ten year celebrations with his first ever live performance at the Village Underground Opening Party (6 Sept), alongside a London premiere of Daniel Brandt and Eternal Something, plus a rare solo set from long-time Nils Frahm collaborator and cellist Anne Müller. Thursday 7 Sept will see an intimate event with our latest family member Högni performing on the Una Corda in our new space, the Erased Tapes Sound Gallery, followed by a Q&A ahead of his debut album release Two Trains. 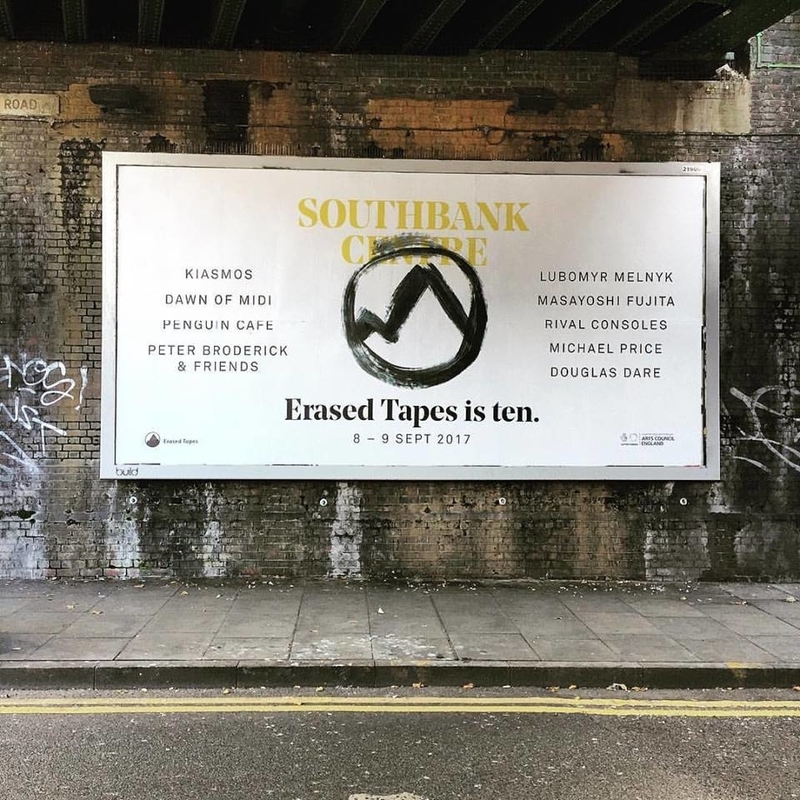 Iceland-based minimal electronica duo Kiasmos launch the Southbank celebrations (8-9 Sept) alongside minimalist jazz ensemble Dawn of Midi who draw on contemporary classical composers Philip Glass and Steve Reich, and London-based producer Rival Consoles closing the night. The weekend also sees performances from Lubomyr Melnyk, noted for his ‘continuous music’ on piano, and Penguin Cafe, known for their layered and intricate sound with global influences; American multi-instrumentalist Peter Broderick and friends including fellow countryman David Allred; and Emmy-award winning composer and musician Michael Price. London’s piano-led singer-songwriter Douglas Dare will also feature, alongside Berlin-based Japanese vibraphonist Masayoshi Fujita who prepares his instrument with kitchen foil and beads. Southbank Centre is the UK’s largest arts centre, occupying a 17 acre site that sits in the midst of London’s most vibrant cultural quarter on the South Bank of the Thames. The site has an extraordinary creative and architectural history stretching back to the 1951 Festival of Britain. Southbank Centre is home to the Royal Festival Hall, Queen Elizabeth Hall, Purcell Room and Hayward Gallery as well as The Poetry Library and the Arts Council Collection. Village Underground started in 2006, with the aim of building affordable studios for creative people who were struggling to get a foothold in London. Four tube carriages and two shipping containers were converted into co-working spaces. A few months later, the perfect location was found: the top of an old railway viaduct in the middle of Shoreditch, East London.